Typically a DEW Butler system would have Tabletops, Kitchen Console and Waiter Phones. Our system is flexible enough to work the way you want it to. There is no upfront cost of ownership. You only pay for what you get. Our Owner Console app would work on any windows laptop or desktop and provides complete visibility and control of your operation. DEW tabletop tablet is an all-in-one ordering, entertainment and payment portal that revolutionizes the restaurant experience. Offer one per table or one per guest or mix it in as a “Party Mode” TM, whichever services your business needs best. 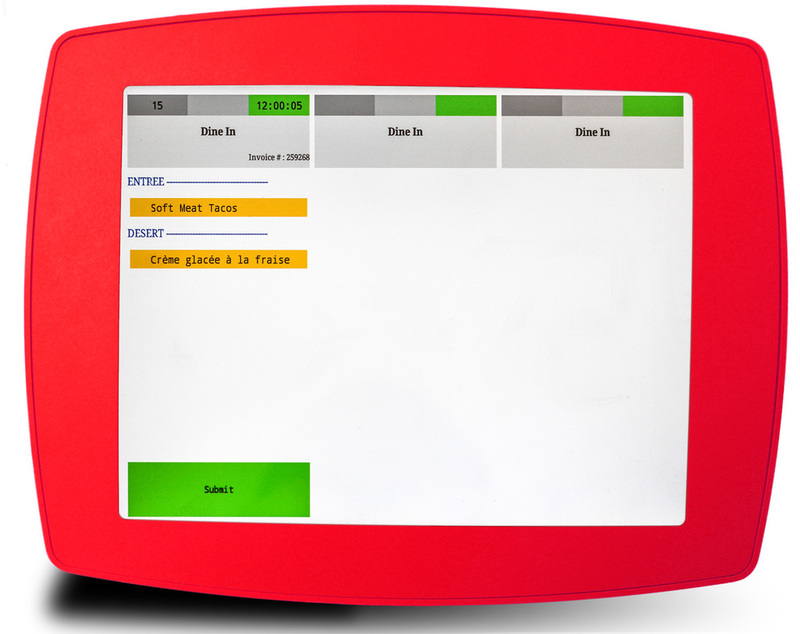 DEW Butler lets your chefs and waiting staffs to work as a team. You will immediately notice the productivity boost. DEW Butler Waiter Phone is a beautiful 8' WiFi enabled, touchscreen device, that would help your waiter to manage orders and fulfill requests on the fly. When your staffs are equipped with DEW Butler, both they and your guests will appreciate the new level of attention and communication.